Barcelona's talisman; Lionel Messi is undoubtedly one of the greatest footballers in a generation and possibly the greatest of all time. The five time Ballon d'Or winner continues to smash records during his time at the Nou Camp. From Guinness World Records, to goalscoring records, the Argentinian striker has become a integral part of Barcelona's recent success and a leading part in their 9 La Liga titles since 2014. 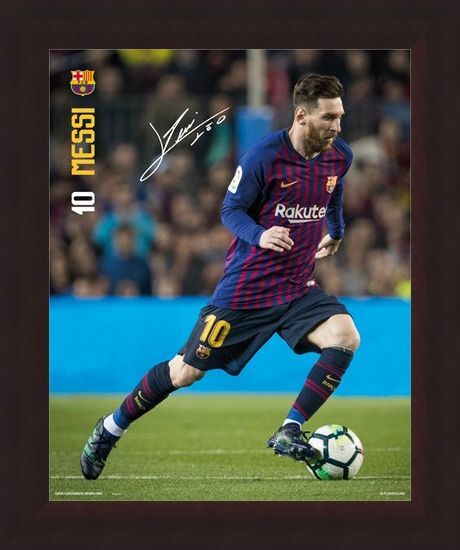 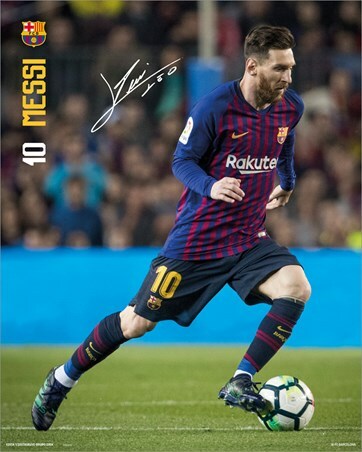 If you love Barca's number 10, then this poster which features the forward in action along with his replica signature is perfect to hang o your wall at home. High quality, framed Messi 18-19, Barcelona FC mini poster with a bespoke frame by our custom framing service.